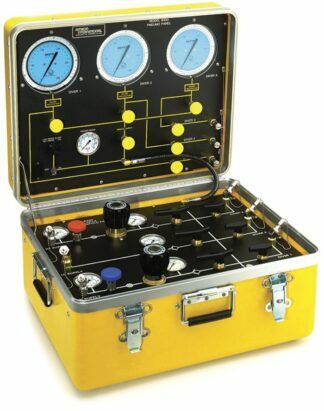 The Amron Model 8300 Portable 3-Diver Air Control and Depth Monitoring System is a portable ,self-contained three commercial diver high and low pressure air control and depth monitoring (pneumo) system for surface supplied commercial diving operations. 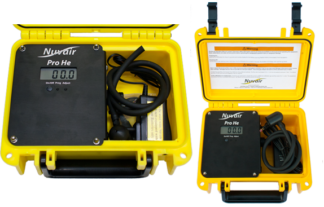 The Amron Model 8300 Portable 3-Diver Air Control and Depth Monitoring System is designed to provide a central control point for the supply of breathing air to three commercial divers and monitor their depth. 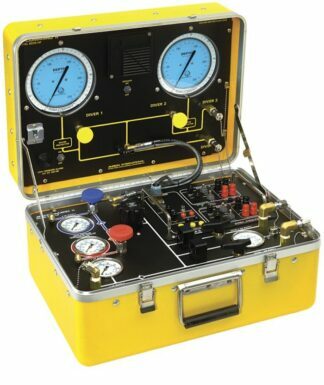 The Amron Model 8300 Portable 3-Diver Air Control and Depth Monitoring System is housed in a durable, pressure-fused fiberglass case that provides a convenient, compact, rugged and professional system. Depth Monitoring with Cross Connect Capability. 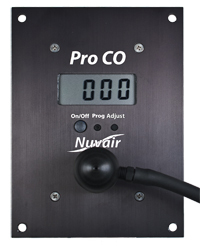 Automatic pressure gauge protectors in addition to pressure gauge snubbers protect against over-pressurization. The pneumo panel has the ability to cross check all depth gauges. The commercial divers’ pneumo connection is an O2 type fitting, pneumo valves are regulating type. Pneumo gauges are 6 in. high precision 0.25% of full-scale accuracy, dual scale 0-250 FSW/0-76 MSW with 1 foot increments. 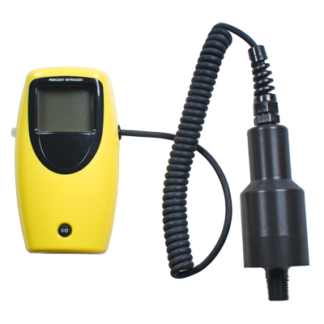 Low Air Pressure Alarm Module supplies a loud audio signal to alert the operator when a commercial diver’s air pressure falls below a pre-set limit of 100PSIG. The optional heating cable is 24 feet long and is wrapped around the HP input and regulator section located on the backside of the manifold panel. The standard plug connect 120 VAC heater is located on the front panel for ease of use. As an added safety feature, a GFCI inline cord set is supplied. The lower case is insulated with closed cell foam to help protect against severe weather conditions. Tescom High Pressure Reducing Regulators: 2 ea.